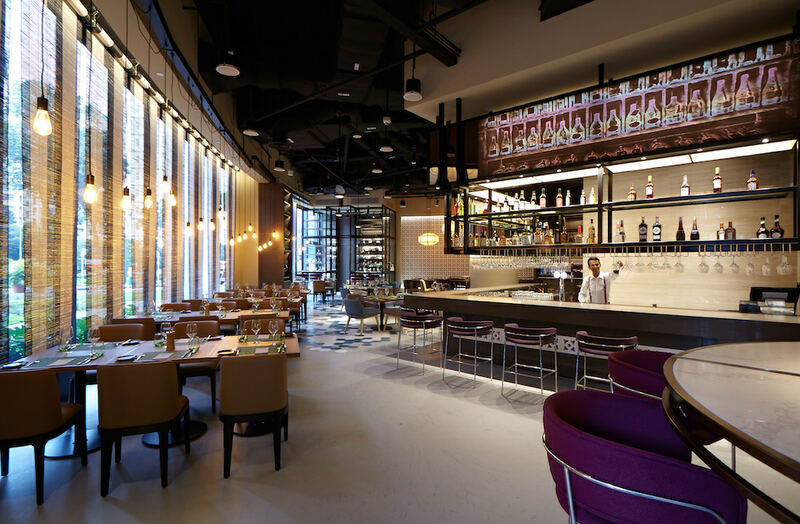 The Novotel Singapore’s latest venue offers quality wine and indulgent cheese platters, without the hefty price tag. The concept behind Winestone is exactly what the name suggests, a venue serving up expertly selected premium, yet affordable, wines and Mediterranean-inspired share platters on stone boards. Wine by the glass starts at $10 and bottles at $48. For those feeling peckish, enjoy the signature Winestone Express Platter, a combination of charcuterie, cheese, olives and bread with a glass of wine, for just $22. Other signature dishes include ricotta and veal meatballs, falafel with hummus, battered-fried whitebait, seabass and dolma prawns and 150-day grain-fed MS2+ beef tenderloin. As well as the restaurant, Winestone includes a take-home wine service, Winestone Retail. With a separate entrance via the driveway, customers can drive on up and purchase a bottle of their favourite wine from the restaurant menu. Open for lunch and dinner and with background tunes ranging from chill beats to house, this venue suits any mood. Previous article8 Cocktails to Celebrate Chinese New Year!